Dennis Görlich suggests investing in sustainable Special Economic Zones in order to achieve coherence between the G20 growth and investment agenda and the 2030 Agenda for Sustainable Development. 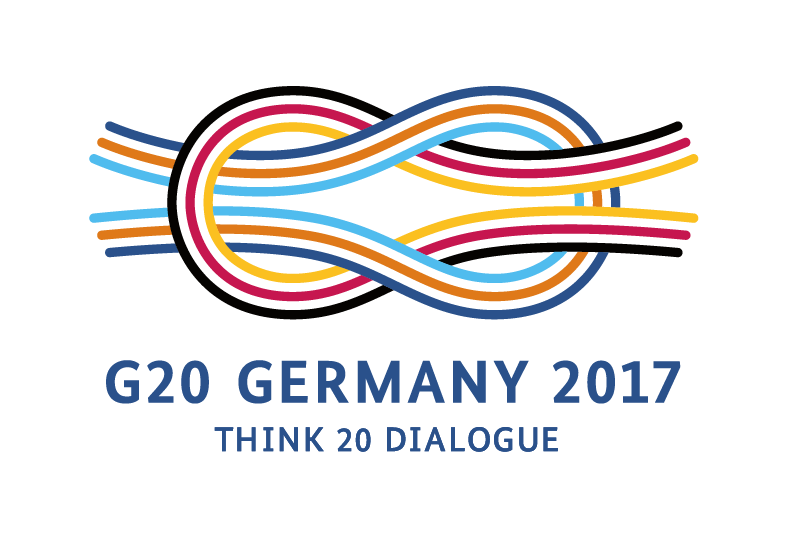 Achieving environmentally and socially sustainable economic growth is a major challenge faced by the G20 countries. One avenue to achieve growth (but potentially disregarding environmental and social sustainability) is written down in the Antalya Action Plan that was ratified by the G20 Heads of State in 2015: “Boosting quality investment, especially in infrastructure, is a top priority for the G20, in an environment of investment and infrastructure shortfalls.” The text says further that infrastructure investment should help lift medium-term growth, reduce inequalities and improve productivity. Yet, it remains open what types of infrastructure investment are meant to be done. What should be considered quality investment? How can it reduce inequalities? Can we make sure that the investments are sustainable in the sense of environmental and social sustainability? And how can environmental and social sustainability be ensured in world where value chains are globalized? I suggest the creation of sustainable Special Economic Zones (SEZs). The creation of sustainable SEZs would be an important institution that can help to achieve economic growth and create jobs and at the same time address the Sustainable Development Goals. SEZs are well-known as being important drivers of economic growth and development. Besides bringing the benefits of standard SEZs, the creation of sustainable SEZs would directly address Sustainable Development Goals (SDGs) 8 and 12: Sustainable SEZs would help to promote sustained, inclusive and sustainable economic growth, full and productive employment and decent work for all, and they would help to ensure sustainable consumption and production patterns. The export orientation of SEZs and the important role they play in global value chains make SEZs an issue of international concern. A geographically delimited area with access to transport, such as ports or airports, and enhanced infrastructure (incl. kindergarten, schools, hospitals). Separate customs area and streamlined procedures, typically no customs duties on imported intermediate goods as long as they re-exported. These features helped SEZs to play an important role in achieving growth and development in many countries, most famously China. Foreign firms were attracted to SEZs, FDI increased. Jobs were created in SEZs as companies locating there employed local workers. An industrial export sector was created in countries that were previously dependent on a single resource or agricultural goods. Knowledge and technology was transferred by the creation of backward linkages, i.e. the integration of domestic companies and their products in production and consumption. This increased productivity and product quality in the domestic economy. Backward linkages created additional jobs outside the SEZ. And schools, jobs and incentives helped to upgrade skills of the domestic population. Critics of SEZs claim that they may remain enclaves because, unless the state intervenes, incentives for investors to create backward linkages are limited and, hence, technology or skill transfers may not take place. Rather than procuring intermediate inputs locally, investors may prefer to import them. Moreover, activity in SEZs may strongly depend on business cycles. A downturn and the resulting capital outflow may particularly hurt the SEZ host countries. SEZs have also been criticized for delaying reforms at the national level; they could at best be suboptimal policies as it would be better to improve the business environment nation-wide (OECD, 2006). Finally, many critics address sustainability issues, such as the suspension of environmental protection standards in SEZs, or the bypassing of national labour rights. Indeed, most SEZs are currently not sustainable in the sense of environmental and social sustainability. Even though they deliver economic growth and create jobs, their environmental footprint is typically disregarded and labour conditions are often criticized. There is ample room to improve these conditions, with the benefit of making the sustainable SEZs much more attractive to multinational enterprises that want to ensure sustainable production conditions. Sustainable production is increasingly demanded by consumers and producers are eager to find suitable production locations. A sustainable SEZ, which can be relatively easily monitored and perhaps even be certified, would be an ideal production location for such enterprises. Sustainable SEZs differ from standard SEZs by providing a business place with good environmental and social practices in addition to the above-mentioned commercial benefits. In particular, it should incorporate the following practices and standards (cf. UNCTAD, 2015, p. 22). Ideally, these practices and standards would be certified by a respected, independent authority. An example for such independent certification agencies is ISCC (International Sustainability and Carbon Certification), which is active in the bioenergy market and the food, feed and chemical industries. Adding these features to standard SEZs would provide them with a distinct comparative advantage: Assisted by SEZ management, companies can produce according to their CSR standards, while retaining cost advantages (UNCTAD, 2015). Introducing sustainability practices and standards in SEZs may be initially preferable to introducing them nation-wide because SEZs are typically small, manageable units. Moreover, due to their importance for global value chains, making SEZs sustainable would be an important step towards making trade and global value chains environmentally and socially sustainable. Promoting gender equality within SEZs could create avenues for women to enter the formal economy (cf. Farole & Akici, 2011). Sustainable SEZs would thus help to address SDG 8 by generating sustained growth with (1) sustainability, (2) inclusiveness, (3) decent work,(4) full and productive employment. In addition to that,(5) transparency and anti-corruption measures could be introduced. Both the host and the trading partner benefits from sustainable SEZs. The host benefits from economic growth and job creation, and potentially from economic development through backward linkages, skill upgrading and technology transfer. The trading partner benefits from lower production costs in SEZs and lower costs for sustainability certification. Where should sustainable SEZs be located? Successful standard SEZs are typically located in coastal regions or in the vicinity of major cities that are known as trading hubs. These locations allow good access to ports, airports or railways and are hence critical for linking the SEZ to international markets. Beyond geography, a number of other factors should determine location. Among them is the commitment of the local government, an adequately skilled workforce, or the national business environment (Zeng, 2015, World Bank). For export-oriented manufacturing, the availability of cheap labour was an important comparative advantage, and standard SEZs were set up in locations where these conditions applied. For SEZs with a different focus, the location choice may rest on other considerations. Many older SEZs can be found in Asia, while some newer SEZ projects have been set up in Africa. For the location of sustainable SEZs, the same considerations as for standard SEZs should apply in principle. Natural locations would then be less developed or emerging market economies with an abundant pool of labour that are linked well to international markets. This way, a sustainable SEZ can contribute to making global value chains sustainable. However, SEZs could also be regarded as “experimental laboratories for the application of new policies and approaches” (Farole & Akinci, 2011, p. 4). Accordingly, sustainable SEZs could be set up in any country to promote sustainable production, for example in order to try out policies of circularity. In addition, old-style SEZs could be “upgraded” by making them environmentally and socially sustainable. Why is this a G20 issue? SEZs are not the sole responsibility of their host countries because SEZs play an extremely important role in global value chains. Many intermediate goods and services are imported from SEZs. That implies that countries higher up in the value chain have some responsibility for SEZs too, and can exert pressure to improve environmental and social conditions in SEZs. Sustainable SEZs could become an important element of the G20’s investment and growth plans. It will ensure coherence between the G20’s growth and investment agenda and the implementation of the 2030 Agenda for Sustainable Development (SDGs). In addition, it could be an important building block for the work of the G20’s Development Working Group (DWG) as the G20 can provide knowledge and guidance to set up sustainable SEZs in developing countries. Companies based in the G20 would benefit, too (see above). If the G20 want to take their growth and investment goals seriously, and at the same time want to make progress on the 2030 Agenda for Sustainable Development, then it should decide to channel infrastructure investment into sustainable SEZs, and to share information and experiences on SEZs with developing countries. Public-private partnerships, which the G20 could foster by prioritizing appropriate investment plans. The newly set up Global Infrastructure Hub could play a role in sharing information and connecting private and public partners. A global fund for sustainable investment. Official Development Assistance (ODA), if the sustainable SEZ is located in a less-developed country. Various papers discussing the financing of the Sustainable Development Goals argue that public funding alone will not be sufficient to cover the financial needs. Complementary private funding will be needed as well. Sustainable SEZs lend themselves well for the involvement of private funds because their comparative advantage will allow for profits. National and multinational development banks can act as catalysers of private investment. In addition, they can provide technical assistance. Farole, T. and G. Akinci, Eds. (2011) Special Economic Zones: Progress, Emerging Challenges and Future Directions. Washington D.C.: The World Bank. Zeng, D.Z. (2015) Global Experiences with Special Economic Zones – With a Focus on China and Africa. Washington D.C.: The World Bank. UNCTAD (2015) Enhancing the Contribution of Export Processing Zones to the Sustainable Development Goals: An Analyis of 100 EPZs and a Framework for Sustainable Economic Zones. Geneva: United Nations Conference on Trade and Development.